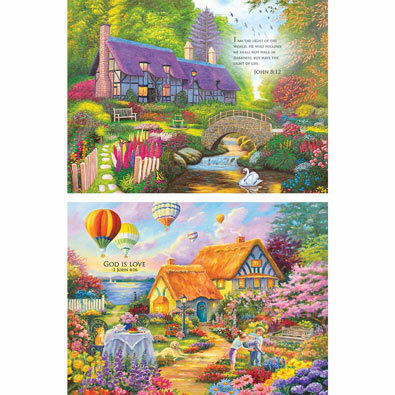 These inspirational puzzles have comforting Bible verses on each beautifully scenic, colorful image. Each puzzle contains 300 large pieces and measures 20" x 27". This 300 large piece jigsaw is designed by Rosanne Kaloustain and measures 20" x 27". This 300 large piece jigsaw is designed by Vivienne Chanelle and measures 20" x 27".